I’m talking about rider “connectivity” which has become a topic of discussion and debate in certain circles. Technology content, infotainment and virtual connectivity all seem to be the metrics by which a growing portion of the motorcycle community defines the performance or desirability of a motorcycle. Don’t get me wrong, I’m a big fan of connectivity in motorcycles, but it’s not the kind that involves touchscreens, phones, Nav, satellite radio and cell towers. My definition of connectivity involves the seat of your pants, your hands on oversized handlebars and your feet on the pegs. It’s the visceral connection, not the blue-tooth connected one! It’s the emotional and physical connection, the one that makes you want to ride it. How does the infotainment touchscreen with VOX interrupts provide that? I’ll assume most Harley owners are as passionate about riding their motorcycles as I am. Yet, as I travel around it seems many of you are suffering from a “connection disorder” — an affliction that occurs when a rider can’t connect their multitude of electronic devices with their motorcycle! I want to connect via my senses, not my phone. Direct steering feel, linear brakes, great lateral grip and the melodious exhaust soundtrack are what connect me when I’m riding. I want a motorcycle that puts me deep into the rider, motorcycle and road feedback loop. Not one that isolates me from it. Or distracts me from my riding senses. How did this Harley-Davidson connection disorder come about? It started with the launch of the Boom! Box Infotainment System and the affliction has grown exponentially. Back in the day, multitasking while riding was about downshifting smoothly while braking and throttling up for the next corner. Multitasking today is about loudly shouting to activate the intercom while navigating through menu tabs to deactivate your appointment alert. Historically a mechanical aptitude and a passion for motorcycles was everything needed to enthusiastically explore the world of 2-wheel vehicle dynamics. In 2015, you’ll need some “tech genes” in your family tree or be prepared to visit a genius bar in the Harley-Davidson dealership. 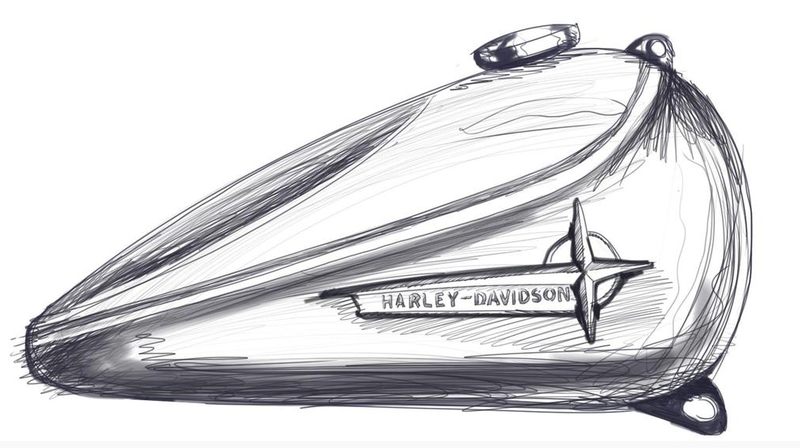 I’m unsure why Harley-Davidson is so busy developing and marketing motorcycle connectivity technologies that don’t even involve being on the motorcycle, much less riding it. Can you spell “wearables”… It won’t be long before your watch connects to the infotainment system. Monitoring your heart rate as you cruise the two-lane blacktop is something all riders will want, right? As I’ve traveled around this year I’ve witnessed riders affected with the disorder — not many at first, but enough to know I was witnessing a connection disorder trend that will only spread. I hope it’s not contagious!